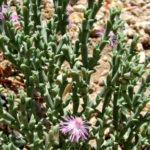 Ruschia uncinata is a mat-forming, winter-growing succulent up to 1 foot (30 cm) tall and spreading several feet wide, with interesting, leafless, gray-green, rounded stems that have small opposite pointed nodes that alternate 90 degrees from one set to the next ever up to 1 inch (2.5 cm). 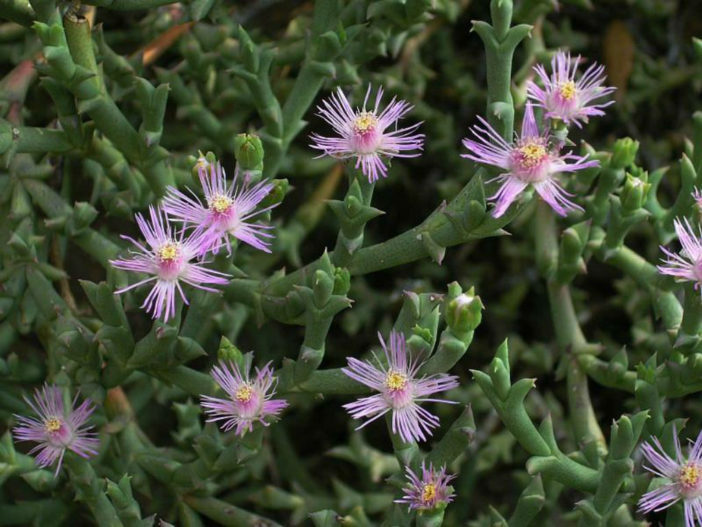 In spring it produces 0.5 inch (1.3 cm) wide, pinkish-purple flowers that have petals that radiate outwards along the edge but are erect in the middle of the flower, surrounding the reproductive parts, in what is often described as a crown. 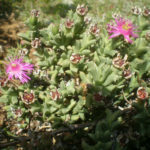 Ruschias are popular for use in the garden. 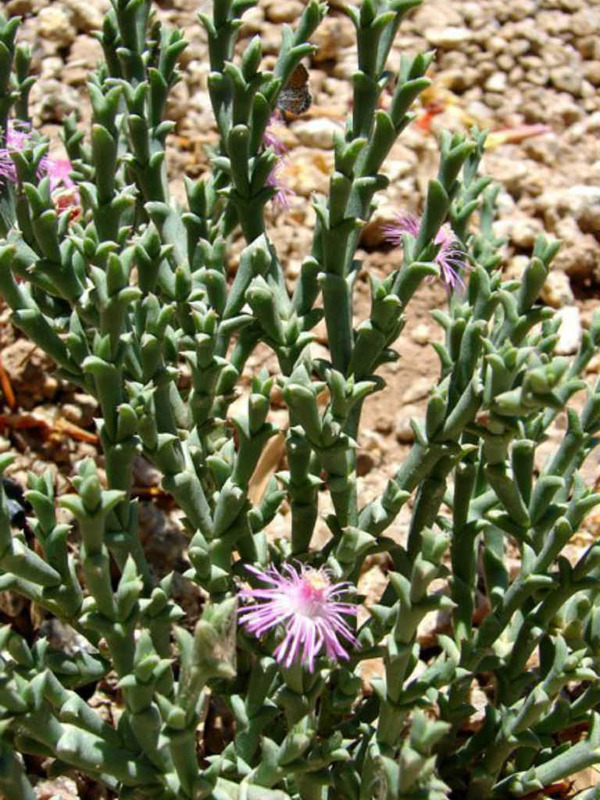 Their tolerance of drought makes them ideal water-wise plants in the arid and semi-arid parts of the world. Brilliant seasonal color displays can be achieved by mass planting in large areas and by using many different growth forms. 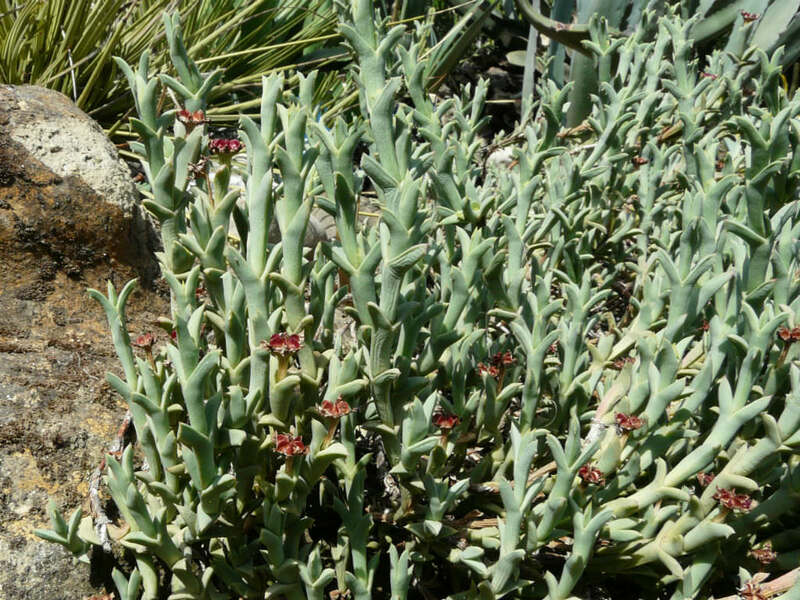 There are tufted, round-shaped plants, which are well suited for containers and flower boxes. 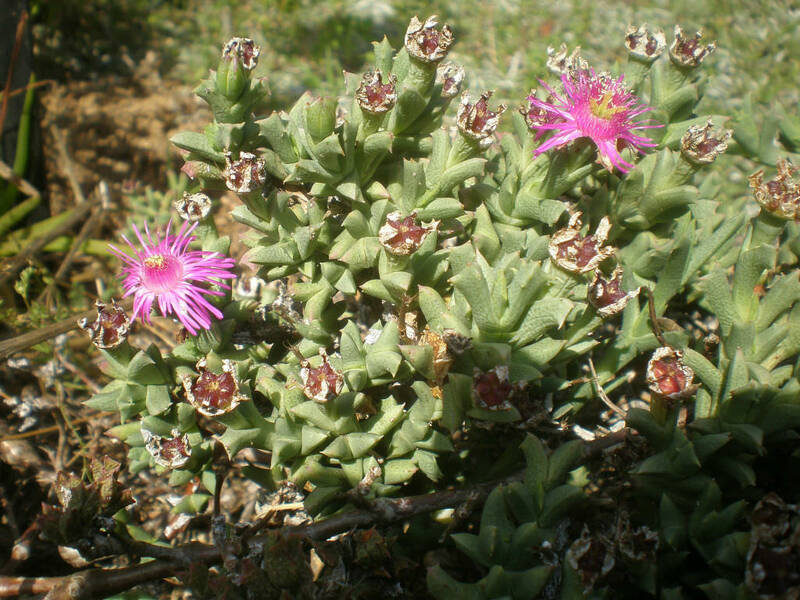 The low-growing and spreading species cover well and will do wonders to terraces, embankments and will easily stabilize loose sand. 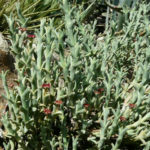 Then there are the bigger, more robust types, which are best used among other larger plants or in combination with other succulents in rock gardens and mixed beds. Remember that Ruschias are short lived and it is therefore essential to continue replanting every 3 years. As mentioned before all species attract a host of insects, and they are thus ideal subjects to attract wildlife to the garden throughout the year.